Breast Cancer. Two words that strike fear in most people. However most of us think it won’t happen to us. Unfortunately the odds are more than you might think (you can find out what they are below.) I remember a few years ago when more was found out about the Breast Cancer Gene, it seemed like everyone was concerned with finding out if they carried the gene and then if they didn’t, or they didn’t know of any close friends or family with the disease, they assumed they were safe. In reality though family history is only one small possible factor. Even knowing I have an aunt who survived breast cancer, I tend to not think about it much. We don’t want to spend everyday worrying about getting cancer but at the same time, we don’t want to completely ignore the possibility either. There is a happy medium. Although the below information focuses on women, please remember that men can get Breast Cancer too. You will learn about an online tool that will tailor some tips to reduce your risk based on your lifestyle. When you get your results, pick your #OneNewThing that you will do to decrease your risk. Ask anyone – a close friend, a neighbour, your mail carrier, the cashier at your local grocery store – and they will likely be able to share a personal story about how breast cancer has impacted their life. Unfortunately, these kinds of personal tales are plentiful because breast cancer is the most common cancer in Canadian women. In fact, one in nine Canadian women will be diagnosed with breast cancer. 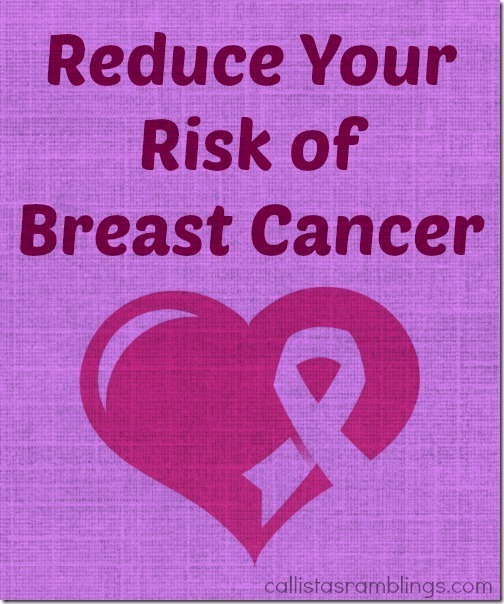 But what many might not know is that one third of breast cancers are preventable. Despite what most people think, less than 10 per cent of breast cancers are linked to family history. Most breast cancers are due to a combination of other factors and your risk can be greatly reduced with a few positive lifestyle changes. So what’s the first step? 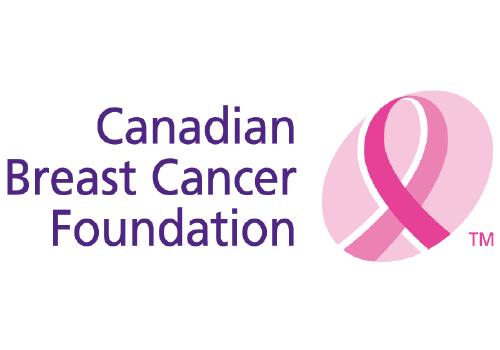 Sit down at your computer, go online and use the CBCF’s interactive tool. The tool is free and is as easy as answering a few simple questions about your daily routine – if you are a smoker, how often you exercise, alcohol consumption and any health-conscious food choices you make. The tool will give you an honest overview of what you can change in your lifestyle to reduce your risk of breast cancer. The online tool was created by the Canadian Breast Cancer Foundation to help promote prevention and early detection. Depending on your answers, the tool may recommend alternative options when it comes to food as well as make-up and personal care products in order to reduce your exposure to chemicals in our environment and everyday products. As well, your input to the fitness questions may mean your personalized breast health plan recommends you walk at least 30 minutes a day or exercise more regularly. All simple steps to help reduce the risk. No matter how big or small, gradual lifestyle changes can benefit you and your health. As part of the #OneNewThing campaign, CBCF is urging Canadian women to step outside of your comfort zone and try one new thing (or many!) to help reduce the risk of breast cancer. Whether its dusting off your bicycle, changing your eating habits or even skipping the elevator and taking the stairs whenever possible, every little healthy change can help. Challenge yourself and find your #OneNewThing then inspire others to do the same by sharing it on the website or using #OneNewThing on Twitter. Carpe Diem! Seize the Day and try something new! And it doesn’t have to complicated. Even small lifestyle changes can have a big impact on our health and the lives of those around us. As moms, we invest so much time into caring for our families and their futures. With so many people depending on us, don’t you think it’s time we try #OneNewThing and invest time into taking care of ourselves? What will your #OneNewThing be? Share in the comments and then share on social media to tell all your women friends about this tool so they can help reduce their OWN risk!